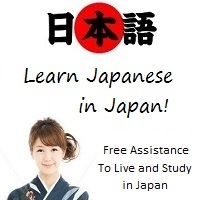 This Japanese language school in Japan teaches Japanese and culture, and offers homestays. One of only two IALC-accredited Japanese schools, nominated as one of the world's best language schools in 2009 and 2010! A blog and travel guide about Japan. Things to do, places to visit, and preparation for you visit to Japan. Nagoya-info.com brings you the complete Nagoya city information guide. For residents there is job hunting news and lifestyle options and for visitors, sightseeing spots, festivals and event information. Come and be part of our community.